Item description is detailed and accurate. It is fast, but the quality so so.. price can be slightly cheaper with this kind of quality ! Received in 2 days. Tent pop up in 1 sec, complete hassle free setting up. Can fit a thin single size mattress. Intend to bring for hotel stay so that my 5yo needs not share our bed. Kid loves it so much n wanted to nap in it immediately. Ordered item was OOS. Seller allowed me to change other design. Happy with this purchase and kids like it sooo much. wow the item is the same as what you see in the seller photo and it is in good quality. My children love it! Fast delivery, ordered Thursday received Saturday. Big enough for 2 kids aged 7 and 10 to play and nap inside the tent. Worth my money. The tent is quite roomy inside and very nice design. Hi, really sorry. There are no immediate plans to restock. Hope for your understanding. Hi, we have dispatched your orders. Hope you can receive the parcel soonest. Thanks. Hi. If order today when can get? Self collection have? Hi, to help understand better, can you please give us the order/cart number? Thanks. 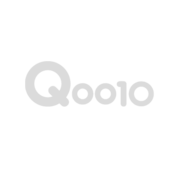 On Qpost : Hi, we have sent the sales receipt via emai. Thanks. Any plan to restock ocean 3 in 1 tent real soon? My little girl’s BD is on Oct 26. Hi, are you referring to 3 in 1 ocean tent? We have ready stocks for 3 in 1 (red/blue) tent. For ocean tent, there are no immediatep plans to restocks. When is the fast food design been restock? Hi will you be restocking the pink castle? Hi seller, do u sell the tunnel for the colorful or pink house tent? Hi, we do not sell the tunnels.